While the weather outside is cold and wet and Spring still seems a long way off we have been cultivating our own Papilionaceous floral display. This is our first attempt at silk ribbon flowers, somewhat surprising given that we are surrounded by ribbons! That said, we think they have turned out rather well. 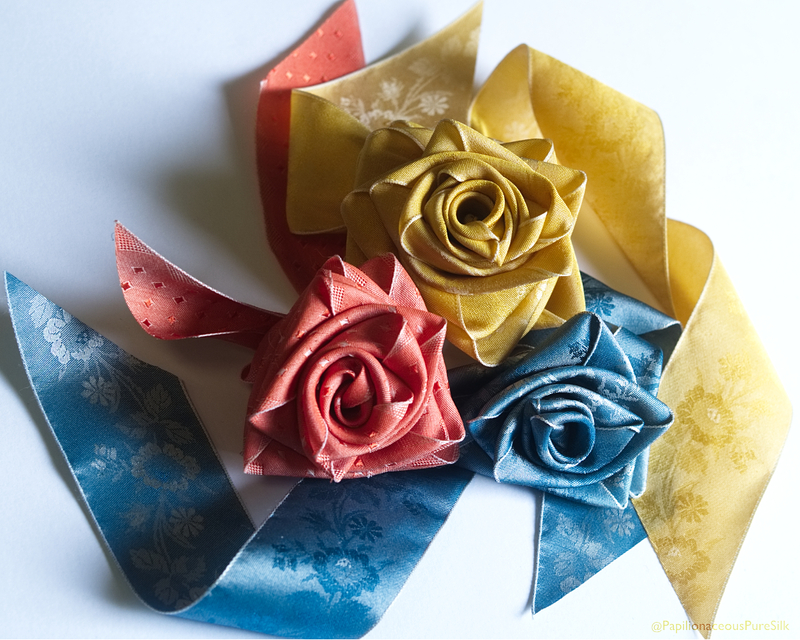 Silk flowers made from Papilionaceous silk ribbon.